In 2015-2016, the City of Northfield – together with numerous community partners and donors – financed a $3.4 million renovation to the Northfield Public Library. Private support accounted for an impressive 45 percent of that price tag. The Friends and Foundation of the Northfield Public Library played an integral role in seeing this public-private partnership through to its conclusion. Not content to rest on their laurels, however, the Friends remain hard at work promoting the newly expanded facility and all that it has to offer. Two recent, overlapping book bag promotions are emblematic of the Friends’ tireless community outreach efforts. Northfield Public Library owns several pieces of artwork by local artEvyists, including the iconic Jubilante by St. Olaf professor emeritus John Maakestad. Library staff rolled out a “brand refresh” to coincide with their facility’s grand reopening, and used Jubilante as something of a centerpiece: on library cards, a new website, and more. With the permission of the Maakestad family, the Friends used the masterwork as the design for a new line of totes, as well. They sold these, at the reopening celebration and afterwards, for $15 each (in order to keep the tote affordable to all) – but encouraged a $5 “extra” donation. Careful grant fund management allowed the Friends to assemble 150 full totes (versus the 100 originally projected). They targeted recipient families with able assistance from area schools and the local Community Action Center. As the Friends noted in their recent Evy Nordley application, they had hoped that this outreach push would “incentivize visits from families who do not regularly use the library’s programs, services, and resources.” Happily, multiple tote recipients were in evidence among the 2,200-strong crowd at the library’s rededication ceremony – indicating that they are having the desired impact. Jubilante also made its mark. The Friends sold out of their initial order relatively quickly, and just as quickly reordered more. They intend to market the colorful, waterproof tote heavily as part of future holiday fundraisers. What a turnout! Nearly 150 devoted Friends of the Library came out last week to hear Sally Gardner Reed, director of United for Libraries, speak about best practices to refresh and revitalize Friends groups (among other workshop highlights). That is a new record for MALF’s growing fall series. Members, look for a full feature in the next MALF newsletter. Our thanks to the Friends at Anoka County Library – Rum River, Austin Public Library, Dakota County Library – Wentworth, and Douglas County Library for your partnership on “Refresh and Revitalize Your Friends Group.” If you would like to partner with MALF to bring a workshop and national caliber speaker to your library sometime in 2017, we’d love to hear from you. Simply send an email to info@mnlibraryfriends.org. Are your library's staff and supporters interested in pursuing more grant opportunities, but intimated by the research and reams of paperwork some applications seem to entail? Here’s your point of entry. In celebration of 25 years servicing the library market, TEI Landmark Audio is rolling out a one-time-only Literacy and Programming Grant. Later this year, 25 libraries will receive $1,000 each to support their youth literacy endeavors. You'll find that the application is quite manageable: only one page in length! Applications must be received by Tuesday, November 15. 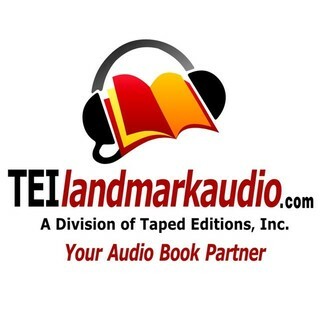 A contract or other purchasing relationship with TEI Landmark Audio is NOT required to be eligible, and individual branches within larger library systems are welcome to apply. However, while Friends may partner on an entry project, funds will only be awarded to libraries themselves – and your library director must sign off on the proposal. Winners will be announced by December 15, with the expectation that funds will be used for their intended purpose by July 1, 2017. Click here to read over the one-page application, and to learn more. Last fall, for one night only, the Pipestone Area Friends of the Library (PAFL) transformed the local Meinders Community Library into southwest Minnesota’s most innovative museum. Pipestone’s library is a relative rarity in today’s landscape, notes director Jody Wacker. It is a combined school and public library facility; it serves the Pipestone Area Schools, as well as the 4,000-person community at large. “We are therefore in a unique position to create ties inter-generationally, and across the cultural and socio-economic divides common in our town,” Wacker explained. PAFL did just that on November 20 with its inaugural “Night at the Museum” – the largest ever library event hosted inPipestone. Inspired loosely by the popular movie of the same name, the event’s dovetailing goals were to give students an opportunity to showcase their artwork, bridge generation gaps, and get people into the library. “Students have few people with whom to share their art and academic success with, as school projects that take time and effort are then typically crammed into backpacks and are often seen only by teachers and parents,” Wacker explained. Planning and promotion began in September. All told, 216 area students (3rd-12th grades) contributed a total of 91 exhibits to Night at the Museum. These varied widely, from canvas art and educational displays, to short feature films and podcasts – and even a cheesecake-making demonstration and a scone taste-testing! For a program with so many moving pieces, PAFL’s event could not have been more cost effective. The Friends provided about $35 towards refreshments, but most other costs were picked up by local media and patron donors. Naturally, the students did most of the set-up and tear-down work. Building on this first year’s success, Jody Wacker feels that as little as $500 for paid promotions would go a long way towards making any “sequels” even bigger community affairs.